Ms. Cross tells an intriguing tale of mistakes and losses and yet the heroine still rises from the ashes. Crossed Lines is a tale that kept me turning pages NEEDING to know what would happen next. I strongly recommend this book. As she taps on the computer, using writing as part of her recovery from a debilitating stroke at age 35, Jessica Cross not only overcomes the worst thing that happened in her young life ― she finds her true calling! 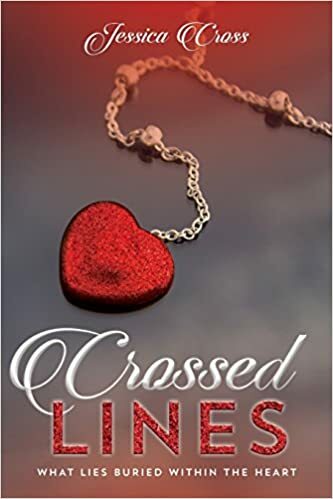 In her debut story, Crossed Lines: What Lies Buried Within the Heart, we meet Sandra, a woman who believes she’s living the “perfect life” until her dreams expose an unfulfilled longing. But it’s what happens after she satisfies that longing that propels her life into a downward spiral as secrets and passions collide for a cataclysmic undoing of not only Sandra’s world, but the lives of many others, in an intriguing tale of love, greed and karma. In her new novel, Jessica Cross explores the mythical “perfect life” and how a closer examination can expose an emptiness that demands to be filled, whatever the cost. The well-paced storyline and believable characters combine to create a raw and profoundly beautiful book that readers will find hard to put down. Some of Crossed Lines might have come straight from Cross’s own experiences. After bearing a child at the age of 17, she doggedly pursued an education that led to her own dream life: a rewarding career, a loving husband and children. But at the age of 35, she was dealt a crippling blow: a stroke that left her hospitalized for months with a paralyzed right side and an inability to work. Two years later, still in rehabilitation and out of work, Cross began punching at a computer keyboard to restore function to her arm and hand. Having little interest in typing mindlessly, she began writing what would become Crossed Lines. In addition to writing, Cross is a motivational speaker, an activist in education and wellness, and an advocate for women’s empowerment. For more information, please visit http://www.Jessicarcross.com. Available at Books-A-Million, Apple iBooks, Barnes & Noble, Amazon, Baker & Taylor, http://www.jessicarcross.com, and all online outlets. This entry was posted in Book Review and tagged affair, contemporary, cost, Crossed Lines, desires, fiction, Jessica Cross, loss, marriage, passion. Bookmark the permalink.